When a new consultant begins her Mary Kay journey, she is instructed to practice giving facials and skin care classes with her friends and family. This sounds reasonable, and seems to make sense, as many women who join Mary Kay have no previous sales experience, have little knowledge about skin care or makeup application, and are a bit nervous about performing in front of a group of strangers. Little Miss New Consultant is told to “fake it till you make it” and “you can be successful with the right amount of enthusiasm” and “your friends and family won’t mind if you make a mistake; that is the best way to learn”. In practicing with her friends and family, there is already a sense of trust established. This is her “warm market”. It would seem that the new consultant’s recruiter obviously has her best interests at heart, understands her natural trepidation, and truly cares about her budding career in selling the products. On the face of it, this is true, to an extent. The recruiter needs her new consultant to experience immediate success, to maintain the level of excitement the new recruit experienced when she first signed up. What is not so obvious is the fact that the recruiter knows that most women despise being “pushy”. Women hate the thought of approaching strangers and asking to be allowed into their homes to hold a party, and also asking those women to divulge their friends’ contact information. The term “cold market” refers to the people who are not known to the consultant. Initially selling to her warm market gives a new consultant an unrealistic sense of success, reinforces the “Mary Kay sells itself! The products just fly off the shelves!” claim, and most importantly (for the time being), encourages the new consultant to order more products. Selling to one’s warm market involves the “PPs”: pressure purchases and pity purchases, and it is patently pathetic to do this to trusted friends and family. It get worse, however. Pretty soon, Miss New Consultant begins to hear: “Is there any reason why you can’t invite your mom/sister/friend to a meeting?”, “Wouldn’t she love to be pampered and let us make a fuss over her?”, “I just know she would love to do what we do!” and “It’s selfish to not want to share the opportunity!” If this advice is acted upon, trouble lies ahead because once the new consultant brings guests to a meeting or a “career event”, she relinquishes control over how the “opportunity” is presented to her dear ones. Ultimately, the recruiter’s goal is to build a team in order to earn the “big girl paychecks” and needs to get *her* recruits to sign up as many women as they can. In Mary Kay, the recruiting process includes telling half-truths, blatant lies, and avoiding answering questions. It includes pressure tactics and manipulation. Recruiters are expressly taught *not* to tell a prospect everything about a career in Mary Kay, because “too much information is overwhelming!” Once she signs up, only then does a new recruit begin to hear about and experience the realities of the Mary Kay business. 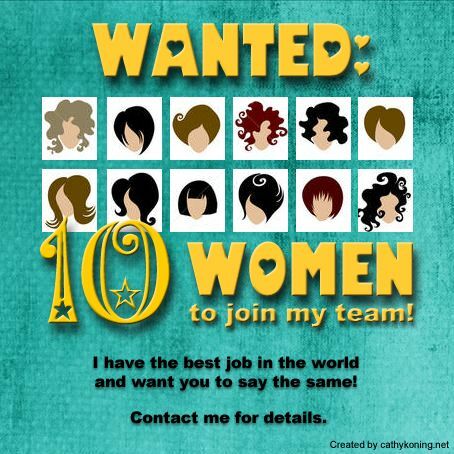 Those realities include, but are not limited to, the fact that most areas are saturated with an abundance of consultants, that once she has gone through her warm market it becomes increasingly difficult to find new customers who are willing to give her the time of day, and that if she really wants to be successful in Mary Kay, *she* must also recruit. Often Miss New Consultant has not yet learned the truth about the vast number of problems inherent in selling Mary Kay. She was only presented with “the best opportunity for women” in glowing terms while the true facts were not disclosed. But, sadly enough, she will learn in time, and so will her own recruits. When her mother, sister and friends learn that they were not told the whole truth about this scheme, the natural trust will begin to dissipate. In fact, when they realize that they were delivered into the hands of a cunning, conniving manipulator wearing a smile, those warm feelings will begin to run cold. It is never worth risking the relationships with those who are held dear, for a chance at “success” in Mary Kay. This is the special evil of MLMs. They exploit your personal relationships, your instinct to help others, for the MLM’s gain. But if you don’t recruit them, your upline will! Right. You don’t have enough customers to scrape together your own required $450 retail order. But you’re supposed to be persuading the few customers you do have that they can get all their makeup at a discount if they also sign up as consultants. You’re supposed to wipe out your customer base before it gets big enough to pay for a tank full of gas. Nearly everyone has flown on an airplane and heard the safety briefing: Put your own oxygen mask on first before trying to help anyone else.